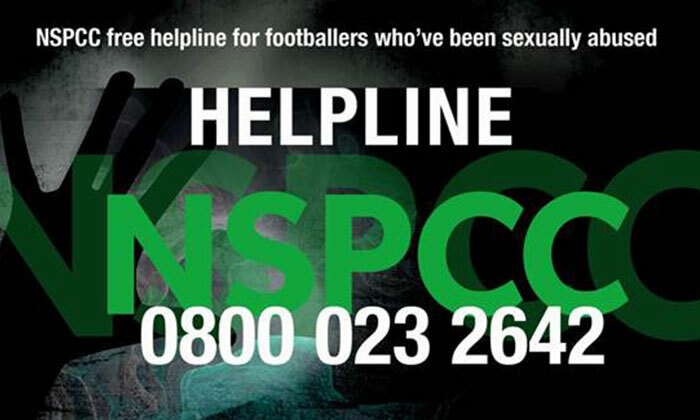 The NSPCC has launched a dedicated helpline for the victims of sexual abuse in football across the UK - a move supported by each of the four home nation football associations. The launch of the free independent helpline number follows the brave decision of former footballers Andy Woodward, Steve Walters, David White and Paul Stewart to speak up about the abuse they suffered as young footballers in England. Staffed by independent, experienced NSPCC professionals, the helpline will offer support and guidance for victims of childhood sexual abuse within the game. The hotline will be available 24 hours a day on 0800 023 2642. NSPCC figures show that across the UK boys are over five times less likely to speak up about sexual abuse than girls. In 2015/16 Childline conducted 1,193 counselling sessions with boys about sexual abuse, compared with 6,486 girls. Supported by the FA, Scottish FA, FA Wales and Irish FA, the NSPCC are now urging players and others involved in football from grassroots to the professional game to speak up using the NSPCC football hotline. An NSPCC statement said: “There must be no hiding place for sexual abuse in football and many adults may have suffered such horrors as young players but have never come forward. Sue Ravenlaw, the FA's head of equality and safeguarding added: “The courage and dignity being shown by Andy Woodward, Steve Walters, David White and Paul Stewart is immense. We join Andy, the police and others in the continued efforts to encourage more victims and survivors to come forward. Kevin Doyle, the Irish FA’s Safeguarding Service Delivery Manager, said: “We applaud this initiative by the NSPCC. The welfare of children and young people is of paramount importance to the Irish FA.